It first came from the skies - a horrific virus that turned nearly every man, woman and child on Earth into undead zombies. Even Marvel's greatest heroes - including Captain America, Spider-Man and the Hulk - have succumbed, driven only by one mindless goal: to feed on human flesh. But with only a small number of survivors remaining against this unstoppable tide of hunger, what happens when the zombie's finally run out of humans to eat?! 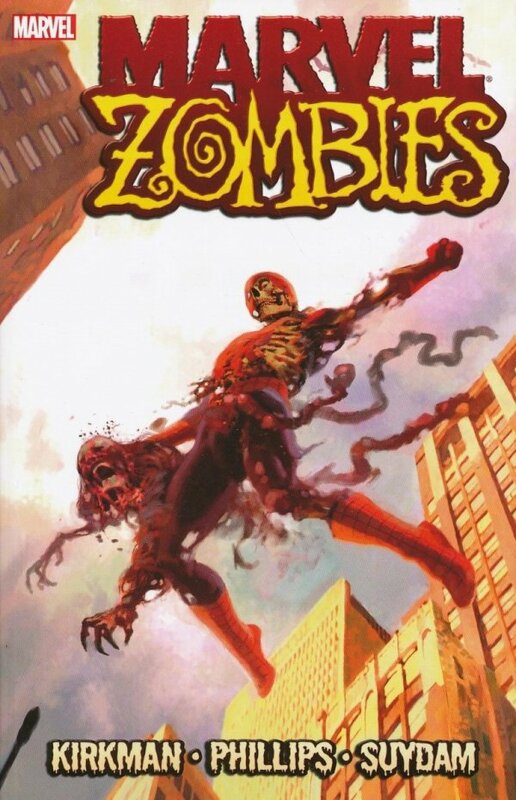 Comic-book fans devoted enough to read only Marvel titles have long been dubbed "Marvel Zombies," but even the most passionate reader could not have predicted the astounding success of this series. Writer Robert Kirkman, known for his best-selling horror series The Walking Dead, crafts a shocking, spellbinding tale of a Marvel Universe infected by a worldwide zombie plague. Veteran artist Sean Phillips fleshes out Kirkman's tale, ably transforming once-familiar Marvel heroes into disturbing visions of decaying flesh and rotting bones.